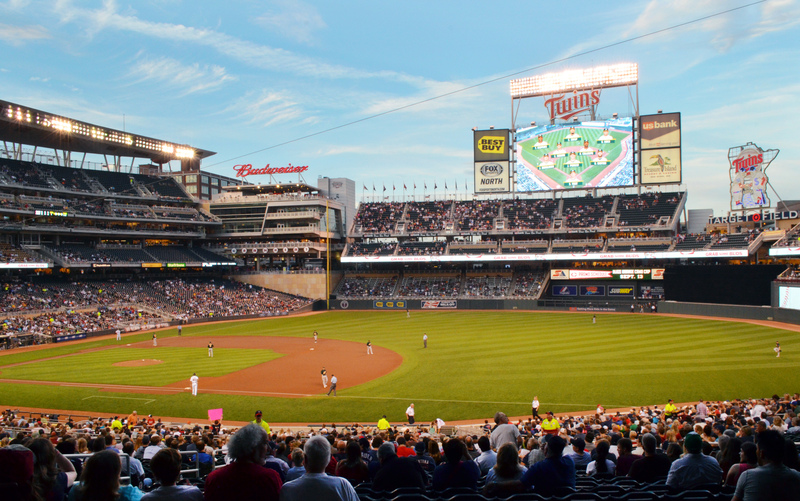 Home of the Twins, Target Field is a beautiful stadium in the heart of downtown Minneapolis. 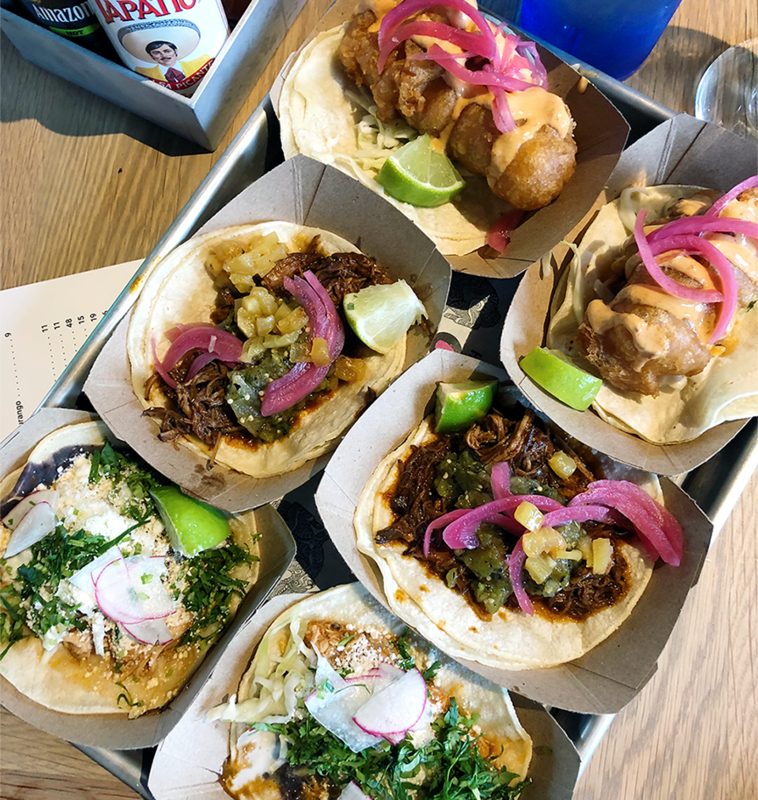 In just a few years, they’ve really amped up the food program, now offering a host of good eats and craft beverages from local restaurants, breweries and distilleries. So I’d suggest you’d venture outside of the typical ballpark fare of wimpy tube steaks and watery beer, and try one of my favorites below. Clearly, I am a little biased on this one, but we spent months perfecting the smoked meat sandwich (that’s what they call pastrami sammies in Canada… it’s basically the same thing). We’re also serving the fan favorite crispy bacon on a buttered bun with jalapeño jelly and vinegar slaw, and brand new this year, a killer Korean fried chicken sandwich with grilled pineapple and chili lime slaw. Pair with a refreshing cucumber mint lemonade, grapefruit paloma or my homemade orange aid, all available spiked with vodka if that’s your thing. I like the idea of the little malt cup with the wooden spoon, but if I’m being honest, that’s more about nostalgia than taste. 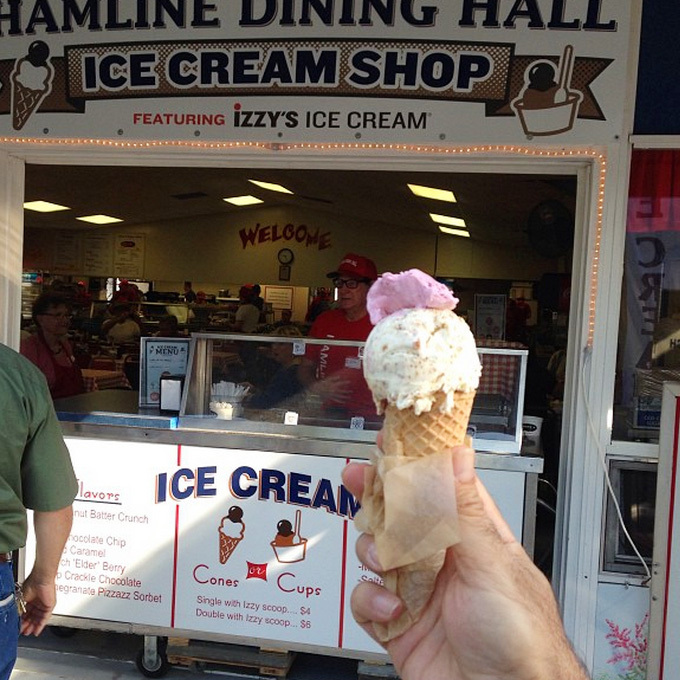 My top ice cream pick has to be Izzy’s Ice Cream. And better yet, they’re our neighbors at section 114 behind home plate. A match made in heaven. Harmon Killebrew is arguably the greatest Minnesota Twin of all time. Rumor has it that the Killer was model for MLB’s iconic logo. I did a little digging and it looks like that might be a myth, but so what. I like that story better than the truth. 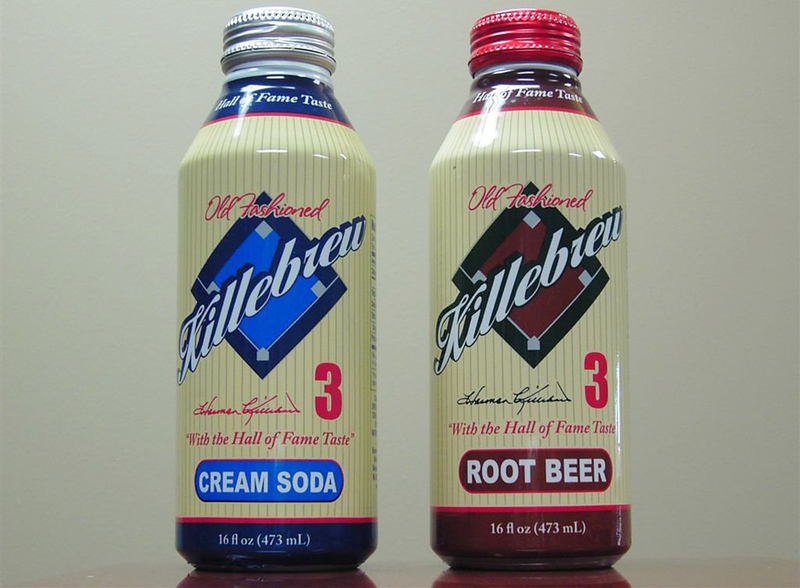 Anyhow, the root beer that bears his name is a stadium favorite. Brewed in Minnesota, I love tossing back a cold one… or pouring a bottle over ice cream for my favorite summer treat, a root beer float (also available throughout the stadium). Red Cow is a beloved Twin Cities burger joint and it’s bound to be a success with the 60/40 burger (that’s 60 percent beef and 40 ground bacon, topped with cheddar cheese, beer mustard and candied bacon); the more traditional burger with Wisconsin aged cheddar, iceberg, tomato, onion and secret sauce; and a blues burger with blue cheese apricot-rosemary black pepper jam. 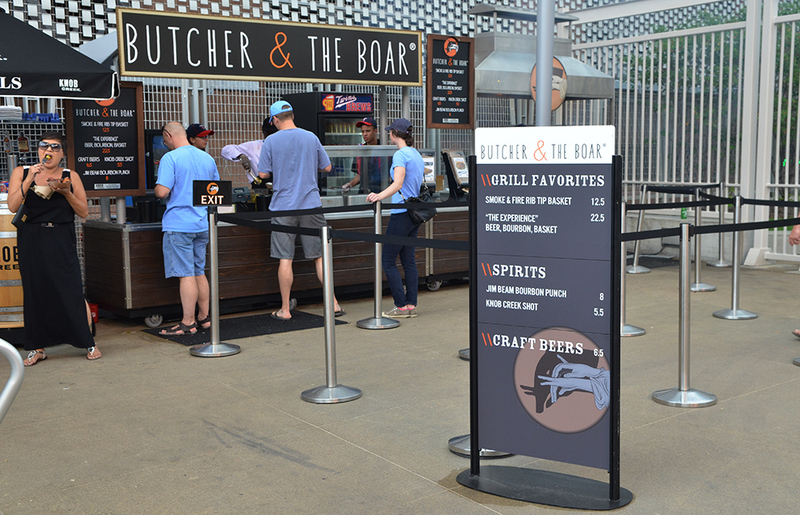 I love to see local brands expanding into the stadium food scene, it adds gravitas to the whole concession program at Target Field. Hot Indian Foods started as a food truck, recently opened in the Midtown Global Market, and now has a stand in section 120. Gluten-free? 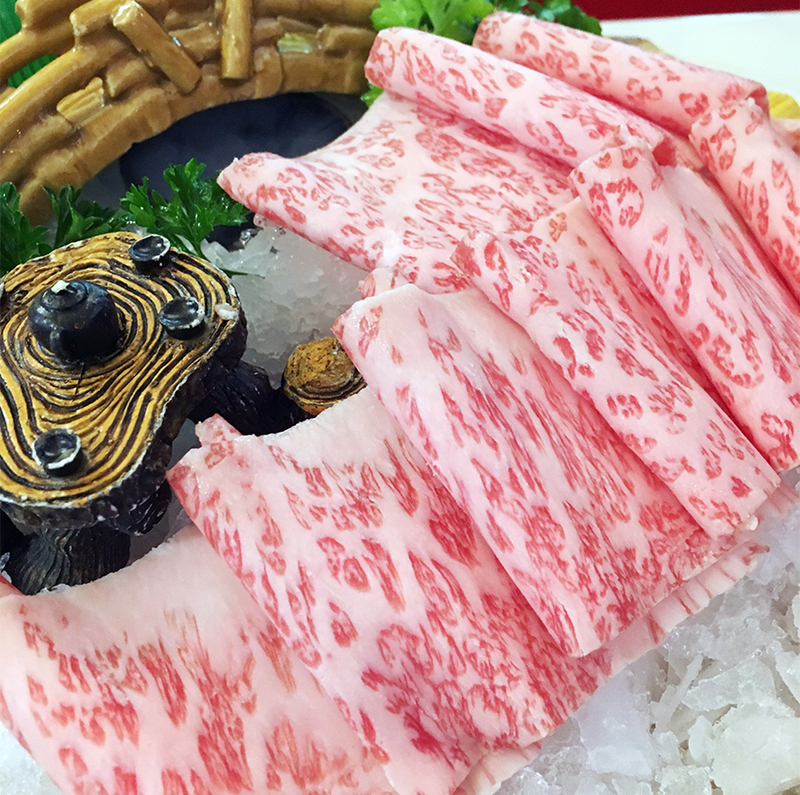 Vegetarian? You’re in luck, their aloo gobi with potatoes, cauliflower and squash in a tomato curry is delicious. 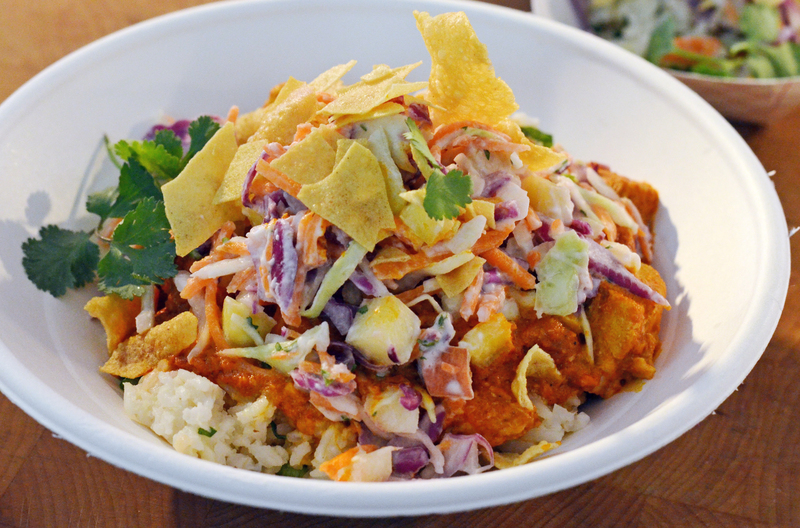 The chicken tikka is hearty, yet fresh and flavorful, and adds a welcome ethnic option to the lineup of typical stadium chow. It pains me to say this, but the general hot dog situation at Target Field is nothing to brag about. That’s why I usually skip the guys schlepping tube steaks in the crowd and head straight for Kramarczuk’s. 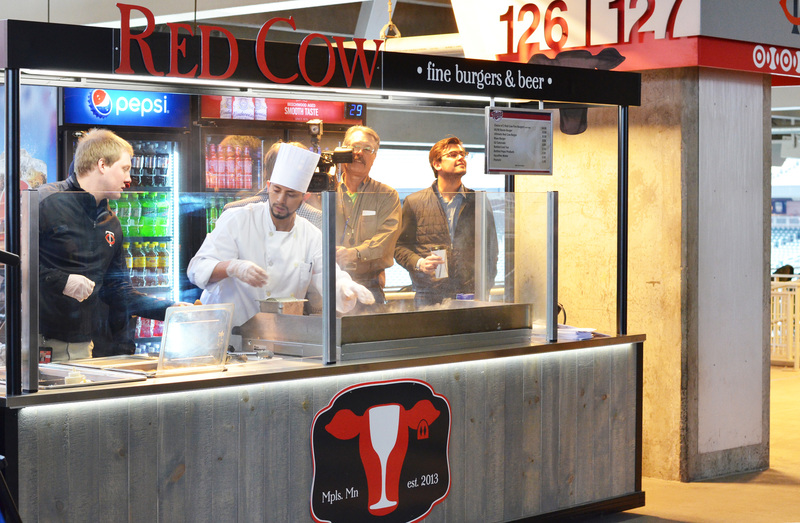 An eastern European delicatessen open since 1954, the Kramarczuk’s operate stalls in sections 112, 117, 312 and the Legends Club. You can’t go wrong with their classic bratwursts, Polish and Hungarian sausages served with sauerkraut, peppers and onions. If there is one place where a watery, light beer works, it’s at a hot, outdoor ballpark. That being said, it’s not hot yet (c’mon, it’s April in Minneapolis, that’s wishful thinking) and the Twin Cities are home to loads of awesome breweries and distilleries. This season, you can find Surly, Fulton, Summit, Lift Bridge and Finnegans in sections 126, 141 and 320. If you’re not a huge beer fan (or gluten free), try a Big Ginger. Made with 2Gingers Irish Whiskey (the brain child of Minneapolis restaurateur and businessman Kieran Folliard), it’s basically whiskey and ginger ale with a squirt of lemon and lime. 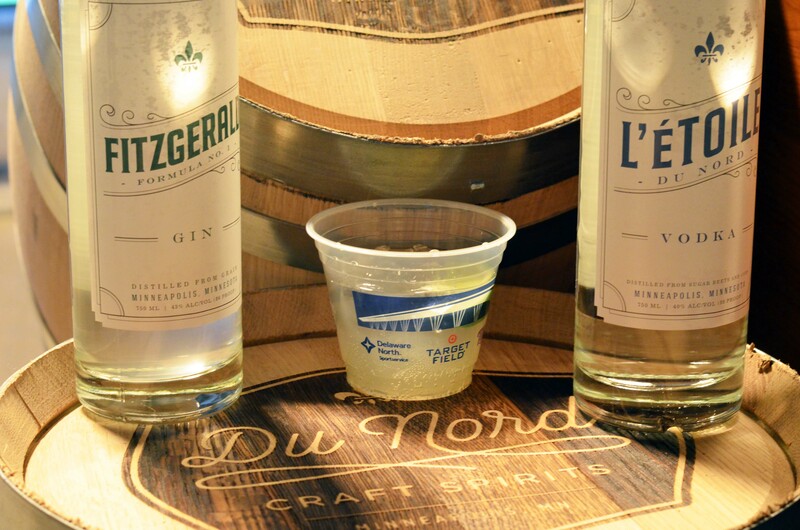 New this year, you can also sip on craft cocktails from Du Nord and Panther distilleries. 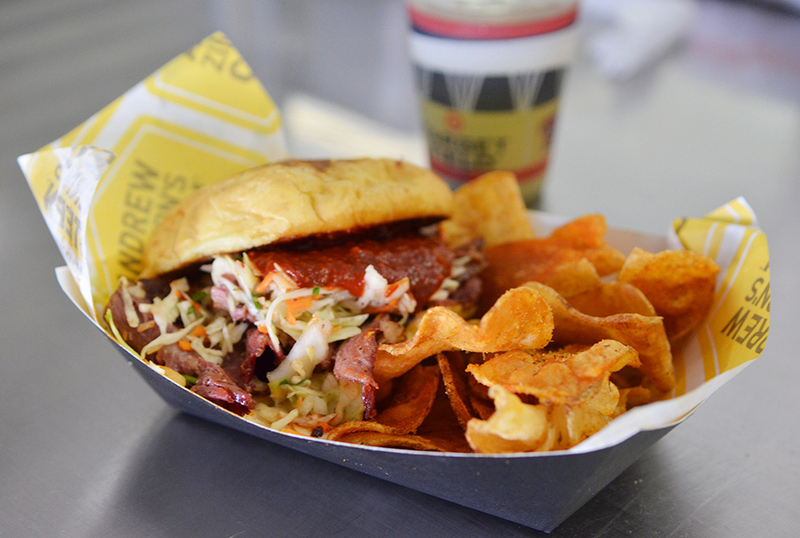 ‘Cue with pickles from one of the most meat-centric spots in Minneapolis. What’s not to love? People rave about their delicious bourbon drinks, too. Worth a visit. At every home game, you’ll find Twins organist Sue Nelson perched high atop the stadium. She’s one of few remaining live organists in the MLB, and I friggin’ love her. Think about this: she can get 40,000 people cheering in unison by playing a simple six notes (bah-bah-bah-BAH-bah-BAH… CHARGE!). Best part? You can see her in action from the Twins Pub on the third floor.